Morning sun glints off the chickadee box. 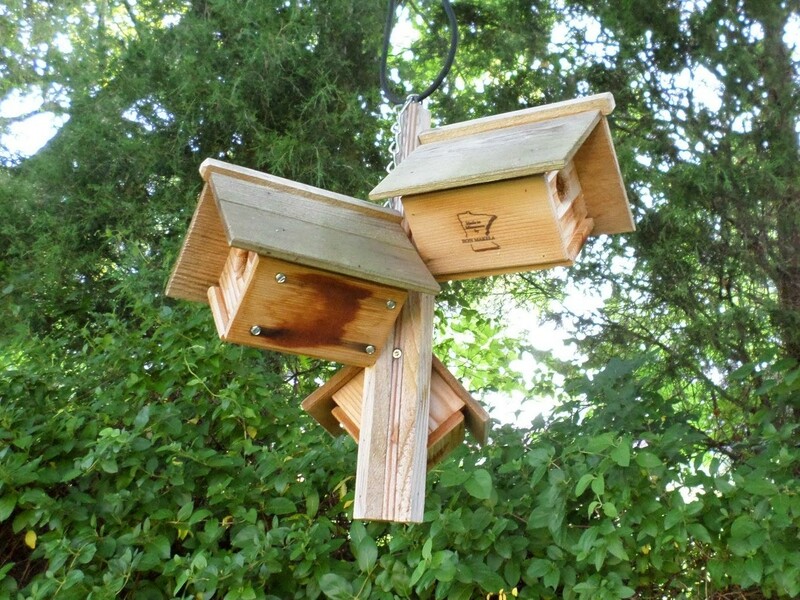 One of my favorite nest boxes is this wren “condo” I bought on etsy. So far a total of zero birds have nested in it. Harumph. 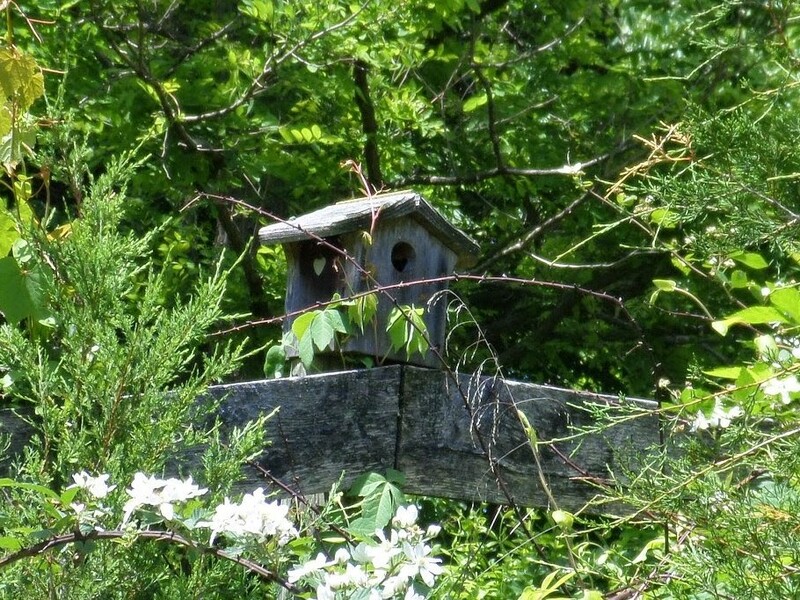 This little wren house was used last spring to raise one brood and has been used as a perch ever since. I love having wrens nest on the porch because I swear it keeps the wasp population down. 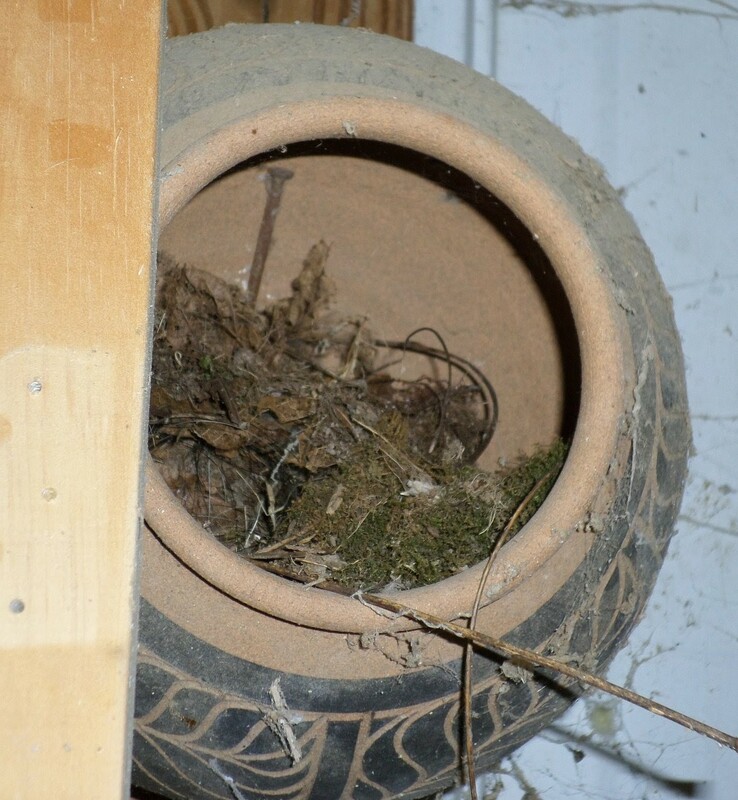 And where do the wrens nest since they aren’t in the expensive boxes I provided for them? 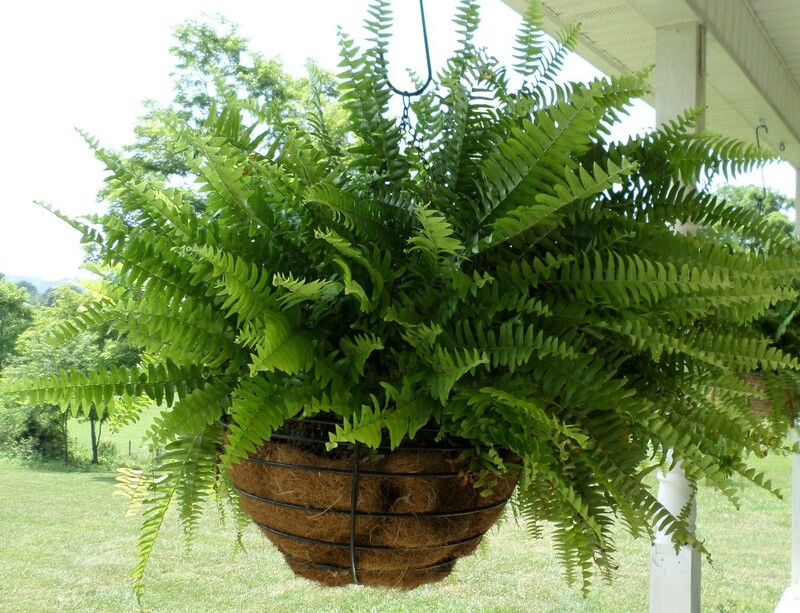 …and of course in this fern on the front porch. We have had better luck with other boxes. Another etsy find, this box is stained a gorgeous pale blue and has a copper roof. I adore that offset entrance hole. 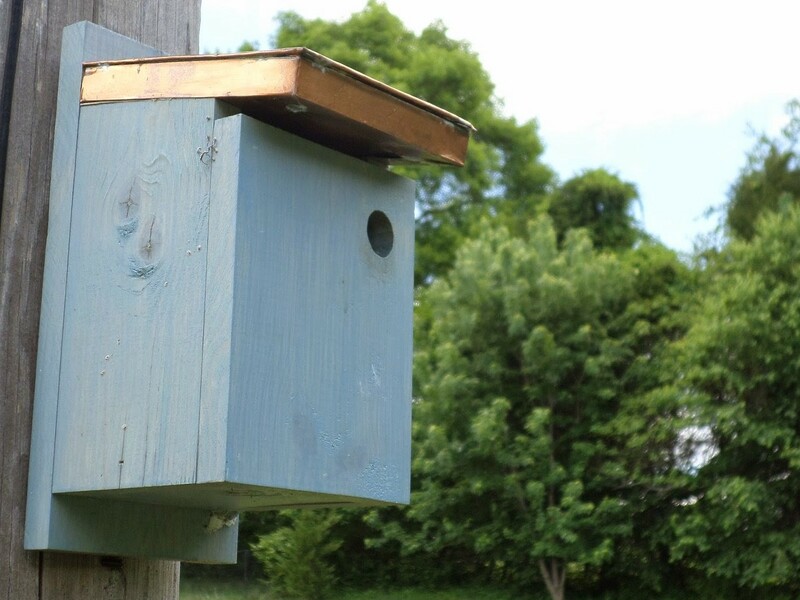 This spring a pair of chickadees raised a brood in this box. Squee! 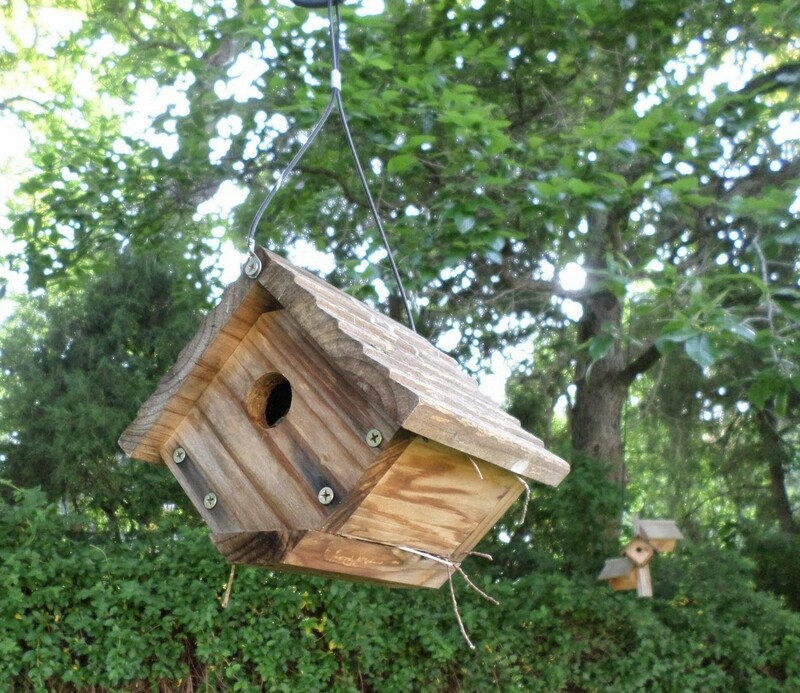 This is my first-ever Peterson style bluebird house and it is located in the middle of the back yard. 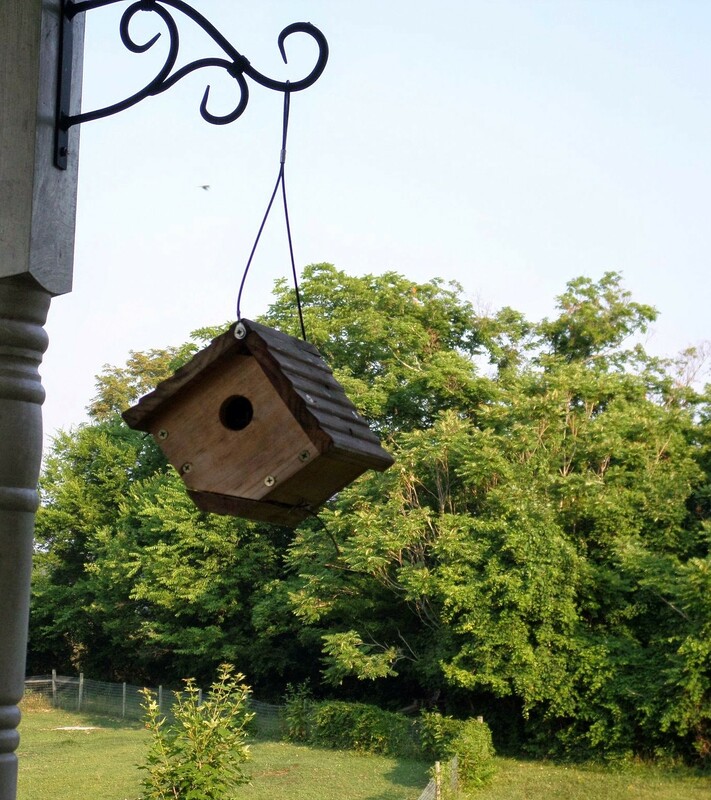 I installed this box in February and a nesting pair moved in within weeks. They are raising their second brood now. An old old nest box perched atop the fence in the pony pen. Cornell Lab of Ornithology sets the standard in citizen science programs involving wild birds. 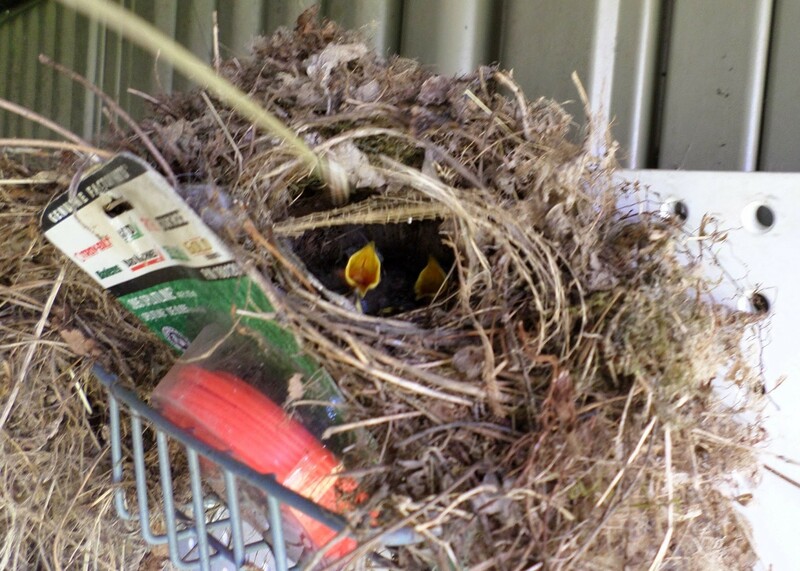 Be sure to check out nestwatch.org where you will be welcomed into a huge family of bird nerds. These are AWESOME, Kirsten! 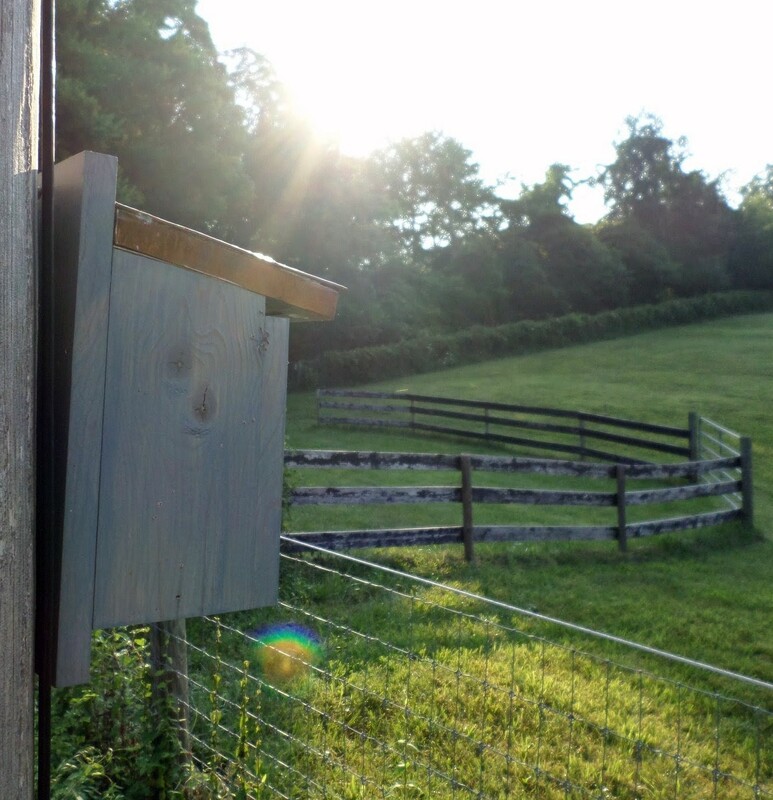 My husband and I went on a 25 mile bike ride this morning, and we rode by a farm with what I THINK are bluebird boxes all along the fence perimeter. Hmmm . . . I might be inspired to put up a smattering of my own. LOVE your photos!! 25 miles?!! ohmygosh you’re awesome! 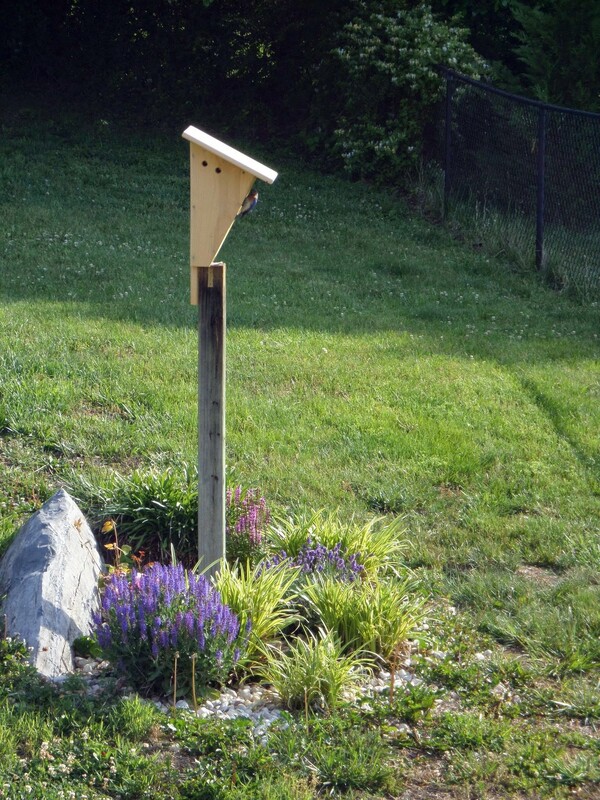 Bluebird boxes do really well on fence posts; the fencing gives the bluebirds a perch for hunting and also gives the nestlings a place to perch when they fledge. I am putting up two more Peterson boxes next February (I got mine on etsy, hint hint).